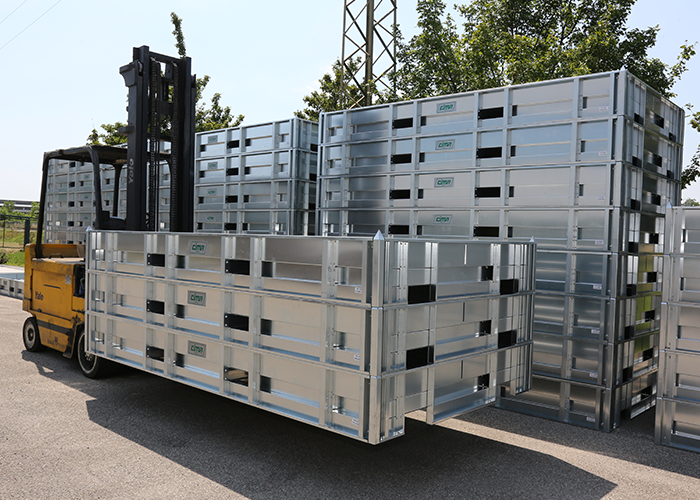 introduced the first and only galvanized modular and reusable iron case to the market in 2016. 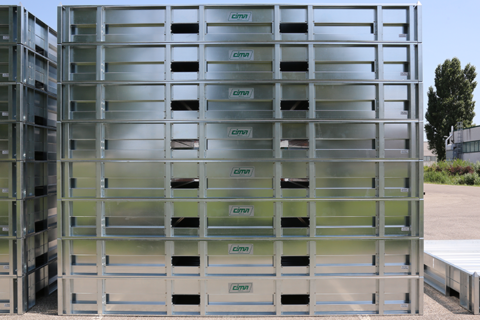 The CIMA case is an innovative product, unique in its kind, and which, compared to traditional trays^ of the vertical in-the-box packing stands, offers numerous practical and economic advantages, all in respect of the environment. 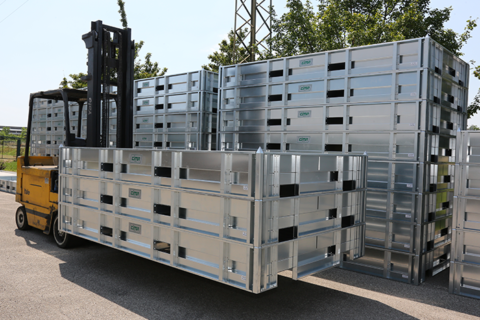 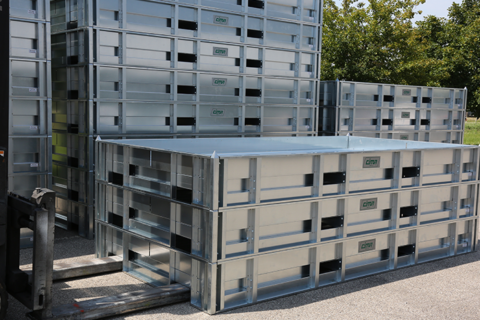 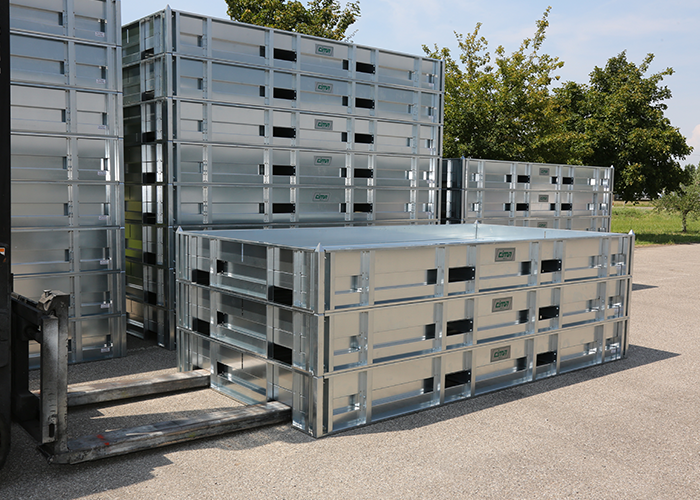 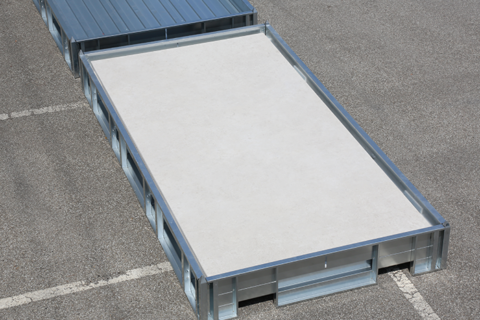 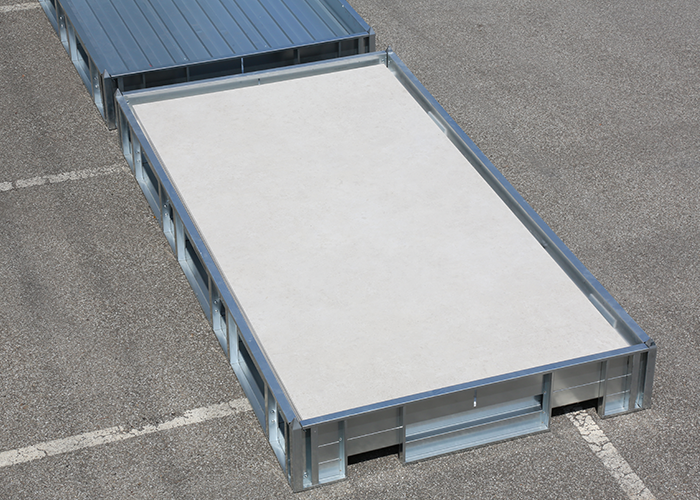 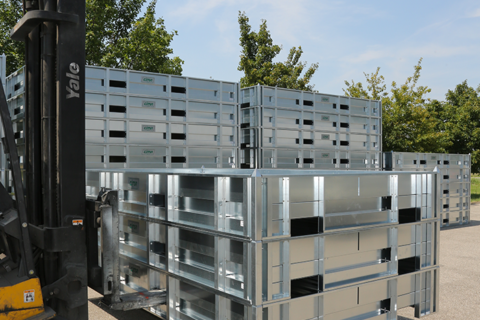 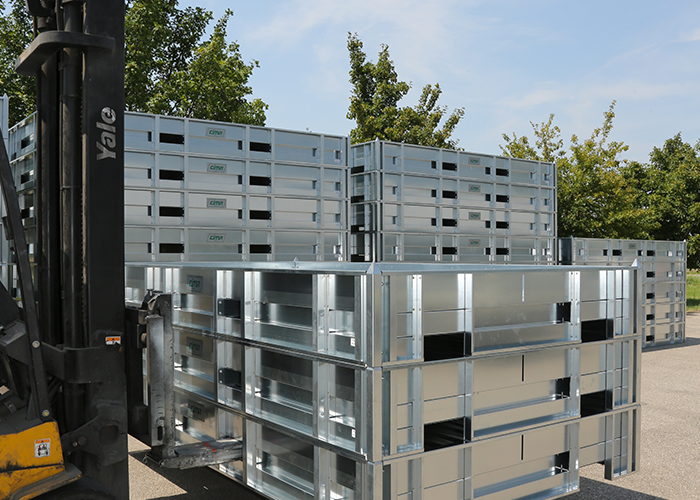 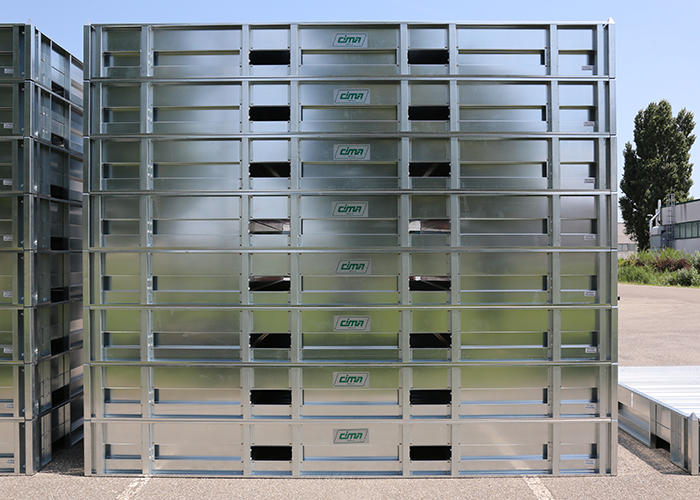 The CIMA case was created to optimize the storage of large-size ceramic slabs, today increasingly required and used for surface covering in the building market but also more fragile than standard sizes. 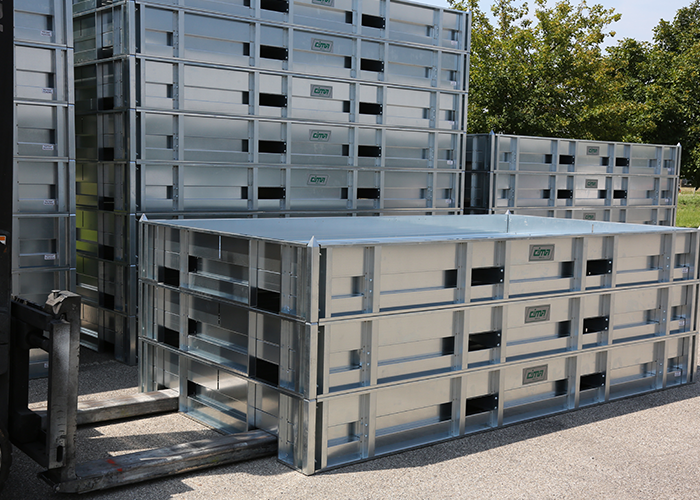 Starting from the measurements of the pieces to be contained, CIMA provides made-to-measure cases, allowing to safeguard the integrity of the contents thanks to a shell-like barrier, which is resistant to stress and shocks. 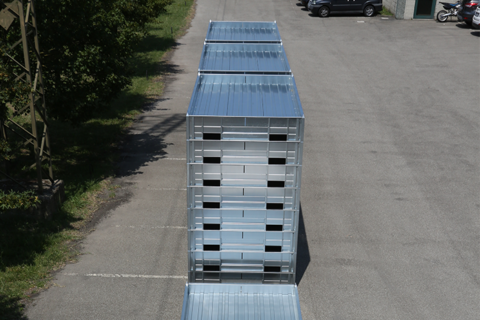 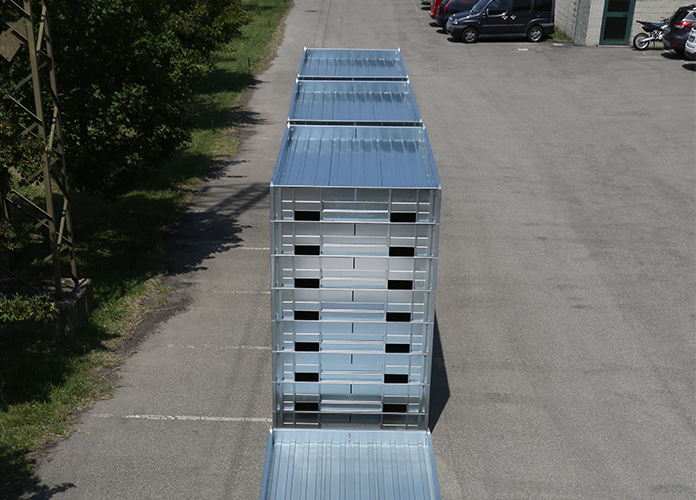 The careful design of the case allows to accommodate more elements than traditional wooden systems and its modularity offers the possibility of stacking more trays on each other: this translates into a greater quantity of transportable and storable elements with the consequent reduction of the space occupied in the warehouse or in the container, with the same weight as the tray. 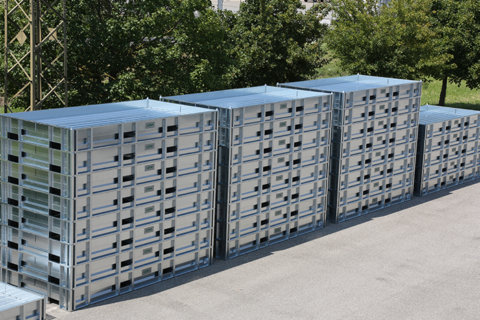 The space-saving and the ability to reuse it repeatedly for multiple cycles produces, compared to traditional systems, cost depreciation and short-term savings. 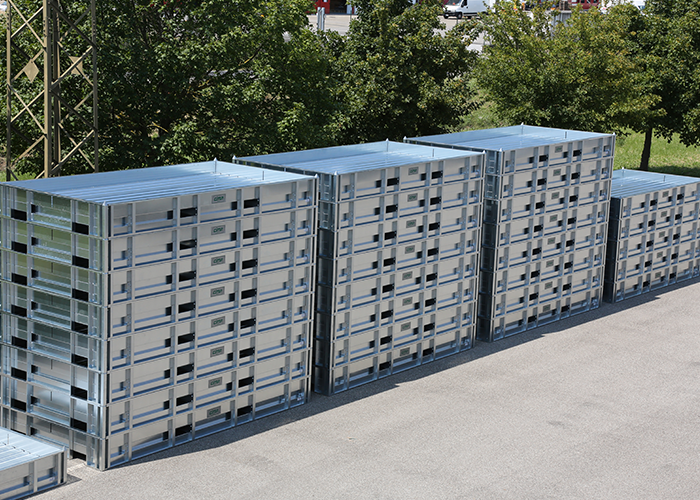 Moreover, being made entirely of iron, a fireproof, inert, non-flammable and non-toxic material, the risk of fire is completely eliminated, besides not developing or being affected by microorganisms: this allows you to preserve the material, storage environments and the safety of workers dedicated to handling it. 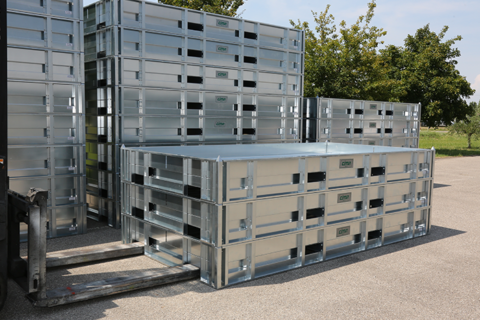 Finally, the CASE can be completely dismantled and reused, almost indefinitely; as an alternative to its reuse, all the material of which it is composed can be resold/recycled, thus obtaining an additional return from its initial purchase.